Mister Pompadour Moroccan Texture Paste has been formulated to provide a medium to high hold which provides structure to your hair without leaving it feeling stiff and rigid. It has semi-matte finish which results in naturally looking hair with a slight touch of shine. This product is ideal for shorter hair styles (particularly messy styles), but will also work well with longer hair for extra definition. It contains coconut and moroccan argan oil to help repair and moisturise hair that might otherwise be dry and damaged. 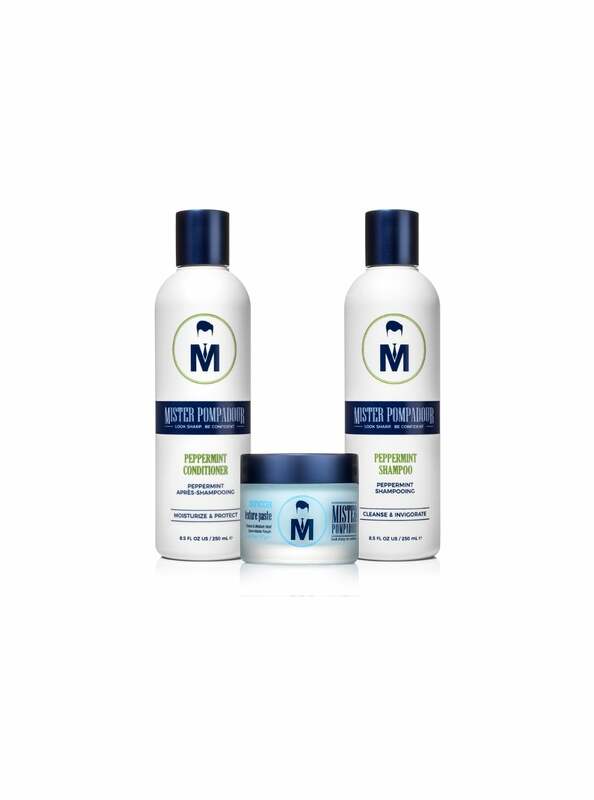 Made from all natural ingredients and completely free of alcohol, parabens and sodium chloride so you won't have to worry about your hair being damaged by undesirable ingredients. The Mister Pompadour Peppermint Conditioner is infused with natural peppermint oil, vital botanicals and nutrients which leaves your hair feeling moisturised and revitalised while adding shine and body. Additional vitamins and proteins repair and protect sensitive scalps.